When Isabella turned 18 months old I was pregnant with twins. So when she decided that she had to dress herself and would only wear clothes that she picked out, I decided that I had better battles to pick. She has been dressing herself since then. I know not to buy clothes without her along. She will outright refuse to wear something if she doesn't like it. And she comes up with some strange combinations. but it's proof that she wears two shirts all the time. You wear a bathing suit cover up over your clothes right? A dress paired with jeans is a biweekly occurrence in this house. Rain boots and an Easter dress? 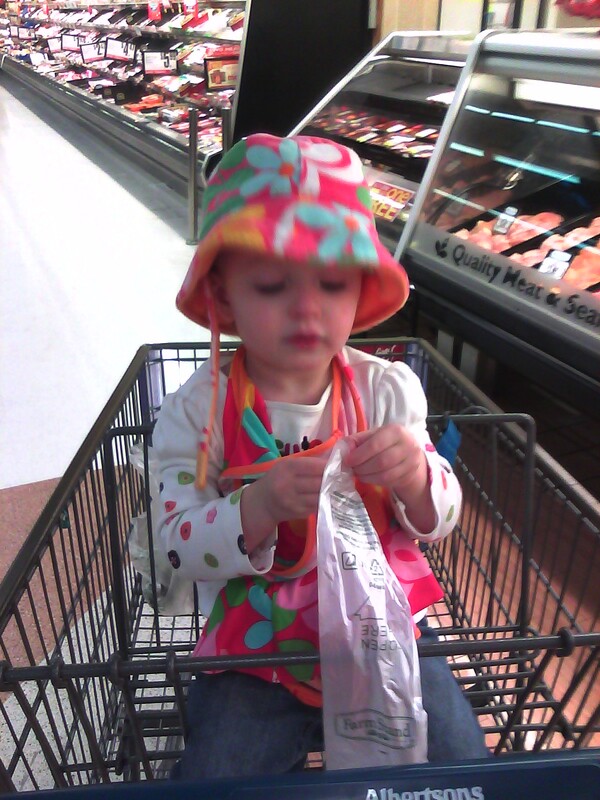 For months we went everywhere with her bathing suit around her neck and it's matching hat. I finally threw the tutu away since it got so ratty and dingy from being worn everyday. You know what annoys me the most? I know that this kid will become a teenager and she'll be required by law to roll her eyes at my style and tell me everything that I wear is ugly. I thought I had a few years before I heard from the peanut gallery about my fashion sense. Clearly I was wrong.